When I chopped off my hair, I posted a picture to Instagram with the caption "so I did a thing" and got 343 likes. Scrolling through that list, I realised I barely know most of the people who liked it. And those people don&apos;t really know me. Well, they know I wear a rose gold watch. They know I have an expensive handbag, and drink fancy cocktails in cool bars in Brighton. But they don&apos;t know what happened to my parents, or why I broke up with my boyfriend. They don&apos;t know the terrible thoughts running through my head as the hairdresser lopped off layer after long blonde layer. But as I scrolled through those likes on the photo, one name jumped out at me. In the past year I haven&apos;t given my childhood friend Kitty much thought, but when I saw her name I thought she might be the one person who understands something of what I&apos;m going through. I rediscovered Kitty by stalking her Instagram. Of course I knew she&apos;s living in London, but nothing else. Her Instagram is full of shots of her and the same six friends - a tight knit group she lives and works with in a little bookstore in London. 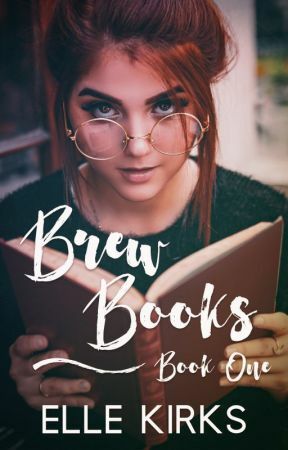 A little store called Brew Books. And now, sitting on this train from Brighton to London, I look through her photos again. The same group of seven, in pubs in London, riding bikes in Richmond Park, and even skiing together in France. The seven of them look like they&apos;re in love with each other, and when I first saw those photos I was filled with the desperate desire to be part of something like that. I crave the kind of friendship they have. This morning I spontaneously bought a train ticket to London, and I haven&apos;t even told Kitty that I&apos;m planning to visit her. I&apos;m full of pent up energy, sitting on this train, jiggling my knees and clutching my phone, scrolling through Instagram to try to distract myself. I finally find the courage to send her a Whatsapp message. "Hey you! Long time no see! I&apos;m in London for the day. Fancy a coffee?" I force myself to stare out the window, at the rows of houses speeding past, until I feel my phone vibrate. "Jane!! It&apos;s really not a good time right now - working all day! So sorry!" I bite my lip. Of course Kitty doesn&apos;t want to see me. She doesn&apos;t care about me. It was stupid to do this. Why did I get on this train? What did I think was going to happen? But this morning something in me snapped, and I needed to get out of the house, and then suddenly I was walking to the train station and jumping on the first train to London. And now I feel like a complete idiot. I type, "I can come to your work!" and follow it with a bunch of smiling emojis. "So busy at the mo!" she replies. I feel my throat constricting and I put my phone facedown on my lap. I&apos;m not sure what I really expected. Why, after all this time, would Kitty want to see me? And I can&apos;t believe how stupid I&apos;ve been, to get on a train to London without even telling her I&apos;m coming. I&apos;m flooded with dread at the idea of spending an entire day in London by myself. I don&apos;t want to be alone. But then my phone vibrates again. She&apos;s sent me the address of her little bookstore. I feel on the verge of tears and I clutch my phone to my chest, just as the train starts pulling into London Victoria station. Around me, people stand up, pulling suitcases and bags, waiting for the doors to open. I tell Kitty I&apos;ll pop by the bookstore after lunch, so in the meantime I head to Westfield to waste time, because I don&apos;t have anywhere else to go. Westfield is full of the post-Christmas shopping crowd, and I revel in the feeling of anonymity in the shiny white halls. I go to Starbucks and get a white chocolate mocha. Even though it&apos;s January they give me a Christmas cup, and I take a picture and add it to my Instagram story, with the geolocation of London, guiltily hoping that my ex-boyfriend will see it. It&apos;s just starting to rain as I emerge from the shopping centre, and busy Londoners push past with their umbrellas while I try to orientate myself. I wrap my blue cashmere scarf once more around my neck, prop open my umbrella, and walk into the downpour. My leather Chelsea boots make splashes in the puddles on the footpath. I hurry down the high street, juggling the umbrella and my phone, and ignoring the unread messages from the "Brighton Babes" group chat. Eventually I come across a florist pulling her bouquets and wreaths of winter berries inside out of the rain. Next door is a forest green shop, with gold lettering spelling out "Brew Books". I reach out to the glass to push the door open, and as I do my hand covers a sign in the window reading, "Help wanted." I shake my umbrella and leave it at the door, then take off my camel coat and fold it across my arm, while gazing around the tranquil store. Brew Books is a café and a bookstore. There are tables, chairs and a sunken Chesterfield sofa at the front. Two women are lounging on the leather sofa, reading, while a man sits at a table, sipping coffee and typing on his Macbook. Three steps separate the café area from the shelves at the back, where a few people meander, reading spines and blurbs. Nearest the front window is the serving counter, behind which a pretty barista with thick, cherry red hair is making coffee. Above her head, rows of mugs hang from copper hooks. On the solid wood counter are a few leftover pastries and sweets. The girl making coffee has her bright hair tied tight and high on her head. When she turns to look at me her ponytail swings. I suddenly realise the absolute stupidity of walking into a coffee shop with a coffee in hand. I&apos;m flooded with self-loathing, clutching the ridiculous Starbucks Christmas cup, as the barista looks me up and down. Hi, this is your captain speaking! I&apos;m Elle, the author of this novel, and I hope you&apos;re strapped in, because it&apos;s gonna be a bumpy ride. If you love London, coffee, books, music, friendships, secrets, and mystery, then 1. we should be best friends, and 2. I think you&apos;re gonna love this novel. So, let me know in the comments... what did you think of the first chapter? Are you excited for what&apos;s to come? Are you curious about the characters? Also, just so you know, I&apos;m in the habit of asking my readers questions every chapter, because I love getting to know my readers and finding out more about you! 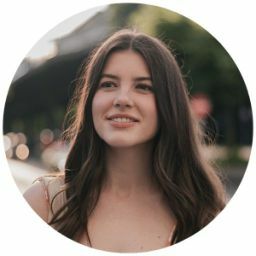 It&apos;s so great that Wattpad allows an instant connection between author and reader, the way regular books don&apos;t.
I&apos;ll always answer the questions, too, so make sure you check the comments for my answer. p.s. Don&apos;t forget to vote!